I come before you in great heaviness of soul. I feel the burden of my inadequacy, as well as the burden of my lack of faith. I feel the burden of an unknown future, as well as the burden of my past failures. I am walking by my feelings instead of entrusting myself to the facts of your Word. In other words, my life doesn’t fit in a nice little package. Father, I need you desperately. Please do not be silent towards me. Please answer my prayer. Please come and be near to me. Please open the truths of your Word unto me. May your light reveal the dark crevices of my life. May your peace overcome the anxiety that is in my heart. May your comfort overcome the disquietude of my soul. May your love permeate every area of my life. Father, I need to gaze upon your beauty as David did in the midst of his tough times: Help me to gaze upon the beauty of all that you are. Help me to gaze upon the beauty of all that you have done. Help me to gaze upon the beauty of your promises. Thank you for listening to me, as I pour out my heart before you. You have never left me nor forsaken me. Your love has never failed. Your mercies are new every morning. Your grace has been sufficient for all my needs. I love you, Lord. Thank you for allowing me to call you, My Father. Take my life and use it as you please. Amen. As I have reflected upon these past days, I am learning several lessons. As James wrote: “My brethren, COUNT IT ALL JOY when ye fall into divers temptations; Knowing this, that the trying of your faith worketh patience. But let patience have her perfect work, that ye may be perfect and entire, wanting nothing.” (James 1:2-4) There is joy in the midst of the valley because the Lord is still working in our lives. At fifty-eight years old, I find myself having to learn new lessons and review old lessons. I am a slow learner, but God is a very patient teacher. He knows what to bring into our lives; so that Christlikeness becomes a reality in our lives. Every valley is different and there are new lessons to learn in each valley. Here are some of the lessons that the Lord is teaching me as travel through this valley. 1. I have learned that every valley is God’s special plan for my life. Joseph didn’t choose to become a slave, but it was God’s special plan. He understood this very clearly when he told his brothers. “But as for you, ye thought evil against me; but God meant it unto good, to bring to pass, as it is this day, to save much people alive.” (Genesis 50:20) Joseph’s brothers did evil when they sold him into slavery; yet God took that evil deed and used it for good. As I plod through this valley, I am thankful that God is still working in my life: Paul understood this when he wrote: “Being confident of this very thing, that he which hath begun a good work in you will perform it until the day of Jesus Christ.” (Philippians 1:6) I am an object of God’s working. He knows the right instrument to use to make me more like Jesus! 2. I have learned that the Valley is a Place of Fellowship with Christ. Communion with Christ can elude us in the good times; however, in the valley, it is essential. The valley shouts to us: “Go to Christ! Go to Christ!” Our need for Christ increases our desire for him. David wrote: “O God, thou art my God; early will I seek thee: my soul thirsteth for thee, my flesh longeth for thee in a dry and thirsty land, where no water is.” (Psalm 63:1) When we thirst for Christ, He is always there to satisfy our thirst. When we run from the valley of His choosing, we lose those very intimate times of fellowship with Him. 3. I have learned that I can show my vulnerability before others. The valley has a way of causing us to be broken and humble before God and others. As a result, people see that we are vulnerable. Those who love us will see this vulnerability and try to bring comfort, healing and encouragement into our lives. Naomi showed her vulnerability before Ruth. As a result, Ruth left all and became her dearest friend. Sometimes, we try to show how strong we are while traveling in the valley. There are people who would be eager to help us in our travels, if only we expressed our need. There is nothing wrong in letting people know that you are traveling through a valley. I am thankful for those members in our church who have seen our vulnerability and have ministered encouragement and love to us. Jonathan had a great ministry of encouragement to David because David showed his vulnerability to Jonathan. 4. I have learned that I need intercessory prayer. When things are going well, we don’t ask people to pray for us. However, when we enter the valley, Paul’s words: “Brethren, pray for us,” easily fall from our lips. I still don’t understand how prayer works, but I do know that it does work. There are many pitfalls in this valley, and yet the prayers of others have taken me through each pitfall. 5. I have learned that tears are perfectly appropriate. I very rarely cry, but when something or someone you love is hurting, tears flow naturally. Jesus said: “Blessed are they that mourn for they shall be comforted.” (Matthew 5:4) Comfort comes from the Savior who shed His tears for the people of Jerusalem. He sorrows for the same things which causes us to have sorrow. The tears show that I love those things which Jesus loves. As I continue to travel this valley, I am thankful that I don’t have to travel this valley alone. Not only is Jesus walking with me, but my wife is walking right beside me. There will be more lessons to learn and relearn; however, I have the greatest teacher who ever walked the earth. His name is Jesus! “Will anybody listen to me?” Have you ever caught yourself thinking this very thought? Yes, throughout life there are times when we feel alone. We think no one understands. When these times occur, we must not forget that there is One who is always available to listen. He understands exactly how we feel. Are we prepared to confide in Him? Why do we need to confide in the Lord? Has a situation ever come our way and we don’t know what to do? We feel helpless in the midst of what is happening around us. Many years ago, King Jehoshaphat of Judah faced the near certain defeat of his army. Within himself there was no strength or wisdom to handle this dire situation. He did what we all must do when we are confused and helpless. He went to the Lord. “O our God, wilt thou not judge them? for we have no might against this great company that cometh against us; neither know we what to do: but our eyes are upon thee.” (2 Chronicles 20:12) God is waiting for us to confide in Him in the midst of our confusion. At times, we don’t confide in God because we are reluctant to admit our need of Him. Another reason we need to confide in the Lord is that our own viewpoint can lead us astray. You have heard the saying: “Let your heart be your guide.” However, God tells us why our heart is not a reliable guide for our life. “The heart is deceitful above all things, and desperately wicked: who can know it? ” (Jeremiah 17:9) God makes it clear that our heart is not to be trusted. We often make decisions based upon our own selfishness or bias. When we confide in God, we will see life from His perspective. Trials, heartaches, and difficulties fill our life. We can’t travel the hard road of this life without continually confiding in our Lord. Jesus said: “These things I have spoken unto you, that in me ye might have peace. In the world ye shall have tribulation: but be of good cheer; I have overcome the world.” (John 16:33) When tribulations come, do we forget that the Lord is greater than any trial that comes into our life? When we cry out to Him in midst of our pain, He responds to us. When an emergency happens in this life we call 911. 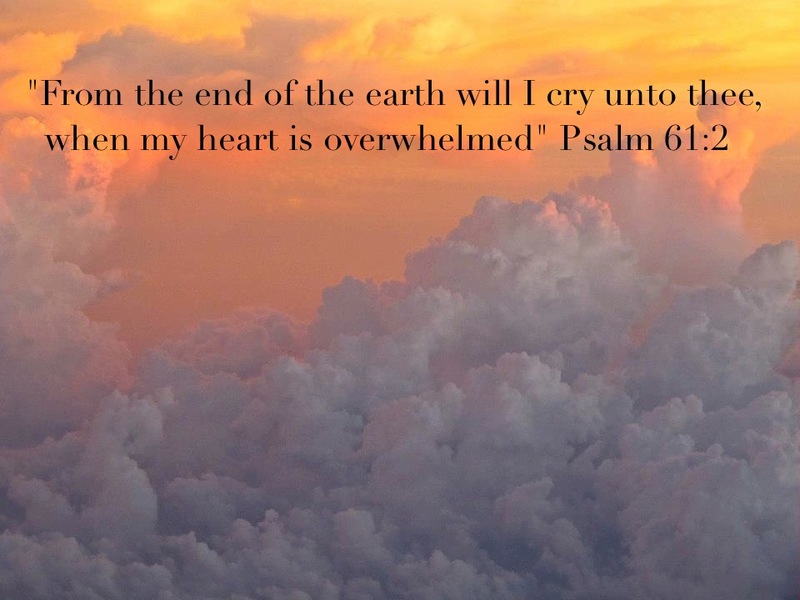 Why are we so reluctant to cry out to the Lord in the midst of our pain? People say: “I would be a good Christian, if it wasn’t for other people.” Yes, other people may hurt us, misunderstand us, ignore us and dislike us, but there is a friend who is always there. His name is Jesus! David confided in God when he faced powerful enemies; so can we. “Attend unto me, and hear me: I mourn in my complaint, and make a noise;” (Psalm 55:2) The Lord is a Friend who will never leave us or disappoint us. Will we learn to confide in Him when we have problems with others? Finally, we need to confide in God because of His Greatness. He is worthy of our faith. God is our all-knowing, all-wise, all-powerful Lord and Friend. He is our High Priest to whom we can go at any time. He is a refuge in the midst of any storm. “Trust in him at all times; ye people, pour out your heart before him: God is a refuge for us.” (Psalm 62:8) God’s greatness is like a magnet that draws us to Him. He can handle any situation that we take to Him. How do we confide in the Lord? Confiding in the Lord is simply to share our requests openly with Him. He already knows what is happening in our lives, but He wants us to come before Him in complete faith and honesty. “Deliver me from mine enemies, O my God.” (Psalm 59:1) The Psalmist understood that he could share any request with God, and He would hear him. Our God desires us to seek Him. His love means that His ears are always open to our cries unto Him. As we confide in Him, we must also remember the importance of having a grateful heart. Gratitude is a way of confiding in the Lord that we are totally dependent upon Him. In Philippians 4:6, Paul writes: “In everything by prayer and supplication, with thanksgiving.” When we cry out to God, we thank Him for all that He is doing in our lives, and all that He will do in our lives. Confiding in God is also demonstrated when we come before Him in desperation. We don’t see God as part of the solution, or maybe a possible solution. No! God is the only solution. The Psalmist writes: “This poor man cried, and the Lord heard him, and saved him out of all his troubles.” (Psalm 34:6) Our desperate cry is saying: “I need you, Lord. You alone can help me.” God will respond to this humble cry. We are often tempted to seek to handle life in our own wisdom and strength. Yet, the Lord is always there. He is always ready to listen. Why do we choose failure in our own strength and wisdom, instead of choosing success in His strength and wisdom? God is waiting to hear from us today! Will we confide in Him? Hurt and discouragement are realities in every person’s life. We have felt the painful arrow of someone’s words. We have experienced being misunderstood or betrayed. Discouragement settles into our lives as an unwelcomed guest. Even our friends can do nothing to relieve us of our painful hearts. We don’t know where to turn. The words: “There is no help for him in God.” cry out for an answer. We have all faced discouragement because of circumstances, people who don’t like us, and our own actions. However, when those who are closest to us give up hope for us, what are we to do? We often crawl into our shell and nurse our broken heart alone. God is his protector (shield) in spite of his enemies. God will be glorified, in spite of his circumstances. God will lift up his soul unto joy and encouragement in spite of his despair. After David reaffirms his trust in God, he then cries out for God to act in his behalf. 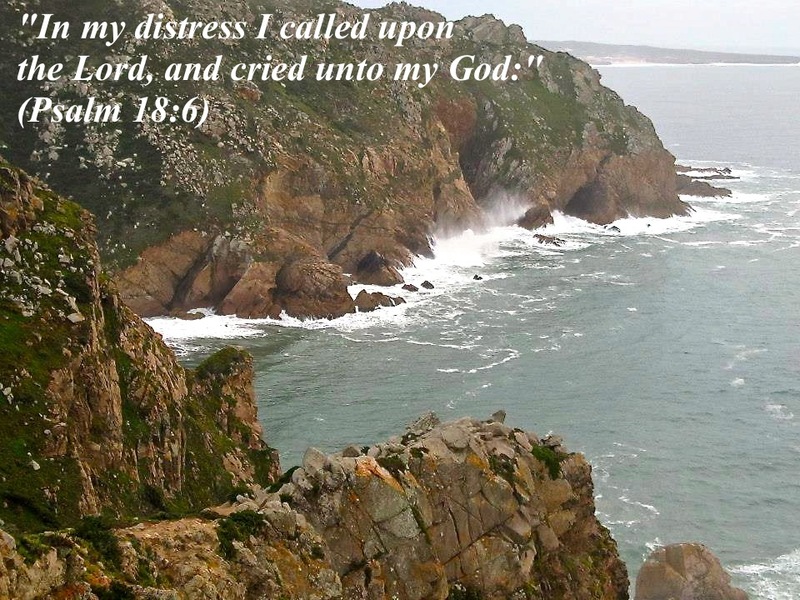 “I cried unto the Lord with my voice, and he heard me out of his holy hill. Selah” (Psalm 3:4) God is waiting for us to cry out to Him. Our Heavenly Father knows all about our enemies, pain, trials, and discouragement; however, He chooses to wait until we humble ourselves before Him. Our crying out to Him is saying: “Lord, I have no where else to turn. I desperately need you. Please come and deliver me.” God will hear our cry and respond. David’s situation has yet to change, but he has changed. He knows that God is working everything for His glory. David no longer faces sleepless nights turning his bed. “I laid me down and slept; I awaked; for the Lord sustained me.” (Psalm 3:5) We don’t have to lie awake at night worrying about our enemies, future and tribulations. Sleep comes when we remember that the Lord is our shield. Nothing can enter our lives that doesn’t first pass through his loving presence. David concludes with confidence that God will show His justice upon his enemies. “Arise, O Lord; save me, O my God: for thou hast smitten all mine enemies upon the cheek bone;thou hast broken the teeth of the ungodly.” (Psalm 3:7) When we turn to God, we are free to allow Him to deal with those who have committed evil, whether it be against us, or others. We are free from bitterness when we commit them completely to the justice of God. God transforms our despair into joy, peace, comfort, courage and blessing. God’s ears are always open to our cry. Are we ready to cry out to Him? David often faced great difficulties in his life. In Psalm 36, David writes about those who would bring harm to his life. He realizes that he is helpless in face of these schemes; so he chooses to find refuge under the wings of his Lord God. The words, “under His wings”, refer to how a young bird finds protection from danger within the shadow of his mother’s wings. Whatever danger that comes to the young bird must first pass through the ever vigilant mother. God is like that mother bird. He gives us a place of refuge under the shadow of His wings. Nothing will enter our lives until it first passes through His ever vigilant eyes and protection. Here are some examples of times when we need to seek the security that God provides for His children. Foresight that sees the storm coming and looks for safety. Prudence to hide before the storm. Times of fatigue, discouragement, or temptation. David fled to the safety of the shadow of the Lord”s wings because He knew God personally; thus, he could trust Him. How well do we know God? In Psalm 36, David focuses upon five attributes of God that will help us to know Him better. 2. God is faithful. People may come and go in our lives. People may not want to help us. Sometimes, others may get tired of helping us, but God demonstrates His faithfulness by His presence in our lives. He never leaves us, nor does He forsake us. “Does anyone care?” “If only I could find someone who will listen to me!” Have you ever caught yourself thinking these thoughts? Yes, throughout life there are times when we feel alone. We think no one cares. When these times occur, we must not forget that there is One who is always available. He loves us and is ready listen to us. He understands exactly how we feel. Are we ready to confide in our Lord? Why did Moses stay faithful in spite of his trials? He confided in the Lord. How did Joshua lead God’s people? He confided in the Lord. How did David receive forgiveness of his sin? He confided in the Lord. How did Paul rejoice in the midst of his persecution and difficulties? He confided in the Lord. How will we stay faithful through life’s tribulations? We will need to confide in the Lord. 1. We need to confide in the Lord because we have no wisdom or strength within ourselves. When King Jehoshaphat faced the near certain defeat of his armies, he confided in the Lord. He knew that God alone could handle this situation. “O our God, wilt thou not judge them? for we have no might against this great company that cometh against us; neither know we what to do: but our eyes are upon thee.” (2 Chronicles 20:12) Jehoshaphat demonstrated a spirit of humility before God which enabled him to confide in the Lord. We choose not to confide in God because we don’t want to admit our need of Him. 2. 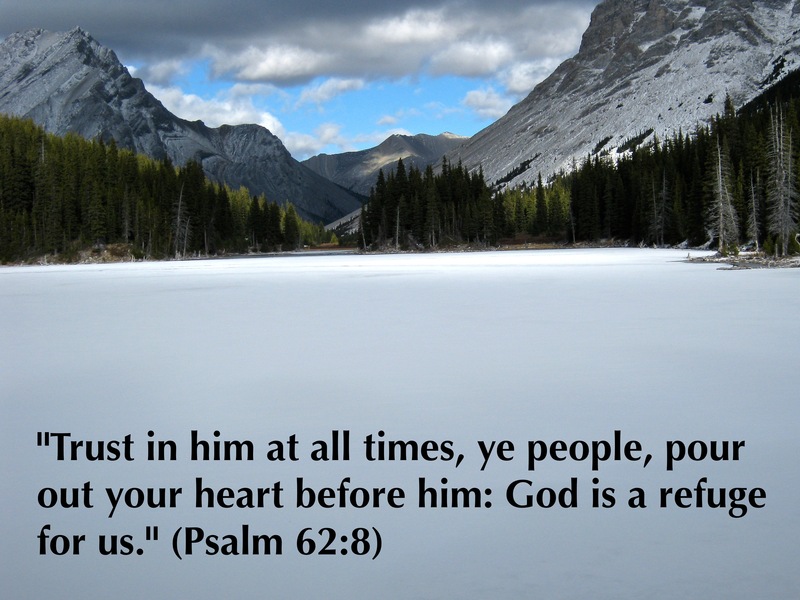 We need to confide in the Lord because we have a deceitful heart that can often lead us astray. “The heart is deceitful above all things, and desperately wicked: who can know it? ” (Jeremiah 17:9) People often say: “I can’t go wrong if I just follow my heart”. However, God makes it clear that we can not trust our own hearts. We often make decisions based upon our own selfishness, bias or lack of knowledge. We need to confide in the Lord because He will direct us in the right path. 3. 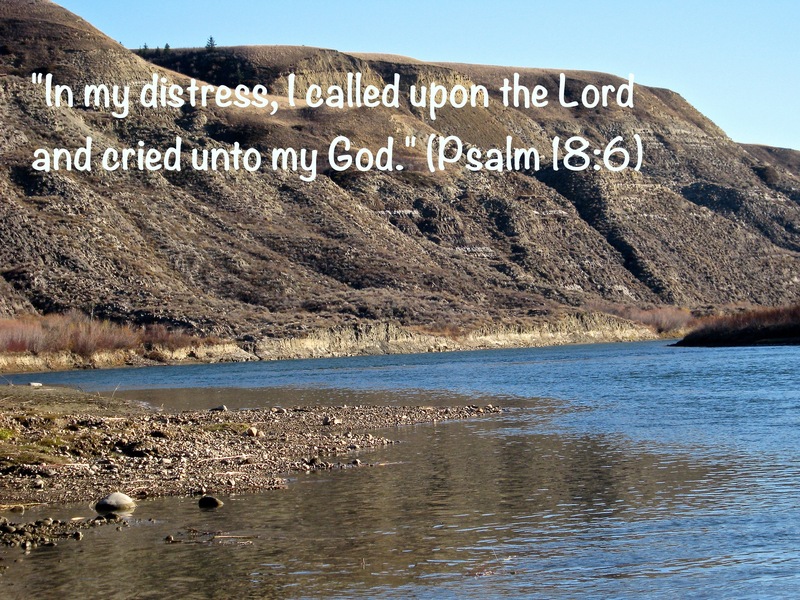 We need to confide in the Lord because difficulties come into our lives. We can’t travel the road of life without continually confiding in our Lord. Jesus said: “These things I have spoken unto you, that in me ye might have peace. In the world ye shall have tribulation: but be of good cheer; I have overcome the world.” (John 16:33) When tribulations come, do we forget that the Lord is greater than any trial that may come into our lives. 1. We share our requests openly with God. 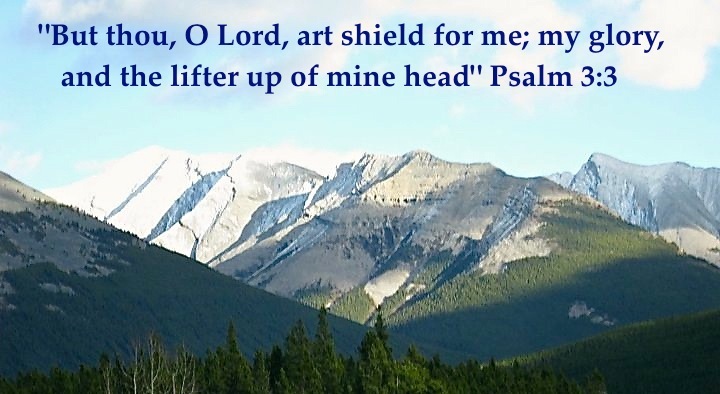 “Deliver me from mine enemies, O my God.” (Psalm 59:1) The Psalmist understood that he could share any request with God, and that God would hear him. He is ready to listen to all of our requests. 2. We are to show gratefulness unto the Lord as we confide in Him. “Be careful for nothing; but in every thing by prayer and supplication with thanksgiving let your requests be made known unto God.” (Philippians 4:6, 7) God loves to hear and answer our prayer requests, but He also loves to hear us give praise and thanks unto Him. 3. We are to show desperation when we confide in God. “Hear my prayer, O Lord, and let my cry come unto thee.” (Psalm 102:1) Our desperate cry shows our total dependence upon Him. Our cry also shows that He is our only hope. When desperate times come, God is waiting for us to cry out to Him. We have a choice each day. Will we openly confide in our Lord or ignore the opportunity of pouring out our hearts to our dearest Friend? We should not only confide in the Lord when we have sorrow and trials, but also in our times of blessing and joy. God wants us to confide in Him in every decision that we make. Confiding in God increases our love for Him because we find complete satisfaction in Him. “We Wish You a Merry Christmas and a Happy New Year” is a Christmas Carol that people sang since the 16th century in England. If is a song of joy as expressed in the words: “Good tidings we bring to you and your kin. We wish you a Merry Christmas and a Happy New Year.” However, not everybody receives good tidings during this time of year. We still face trials, sorrow, and pain. Many people even feel a deeper sense of loneliness during this time of year than at any other time of the year. Yes, evil tidings don’t stop during this time of year: however there is good news from God in the midst of evil tidings that may come our way. In the Bible, we see many people who triumphed over the evil tidings in their lives. Joseph overcame many evil tidings, including betrayal, slavery, and prison, to become the prime minister of Egypt. Ruth overcame the evil tidings of the death of her husband and living in poverty. She would soon marry Boaz and become the great-grandmother of King David. God gives us his Word to encourage us as we face the evil tidings of life that may come our way. Every day, “bad news” can surprise us. We don’t ask for it, but it is a package delivered to the doorway of our lives. How can we triumph even in the midst of bad news? How can we see good news come out of the bad news? Psalm 112:7 gives us some answers to these questions. Normally, our first response to bad news is to be afraid or fearful. Fear paralyzes us. It causes us to focus upon the bad news instead of our Great God. God tells us that we do not have to be afraid of the “evil tidings” that enter into our life. God knows that fear will keep us from seeing Him clearly. Fear causes us to doubt the goodness and the power of God. 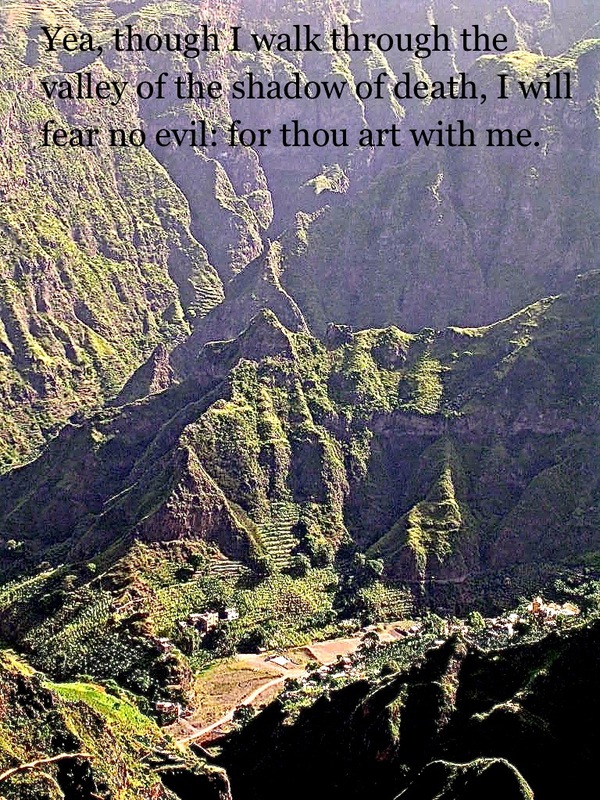 For this reason God gives us many verses that command us to “fear not”. God’s grace is sufficient for the “evil tidings” that may come in our life. Once fear has departed and we have fixed our heart upon the Lord, then we can have faith in Him. Faith is responding to all that we know about God. The more we know the Lord, the more we will be able to trust Him. True faith knows that God will never leave us, nor forsake us regardless of the “bad news” that may come our way. His love is an unchanging love. He loves us with an “everlasting love.”. Faith in our Lord will dispel any fear in our life. It will enable us to bear whatever “bad news” that comes our way. Do not allow fear to dominate our thoughts and actions. Fix our heart upon the Lord. Let our thoughts focus on the Lord. Place our faith in the Lord. He will carry us as we face the “bad news’ in our life. When the “evil tidings” enter into our live, God has a way of turning those evil tidings into an opportunity to see Him work in our life and in the lives of those around us. God will turn those “evil tidings” into “good tidings” that will draw us closer to Him, and bring glory to His name.